More fun at the NC Mountain State Fair began with the crafting competitions. 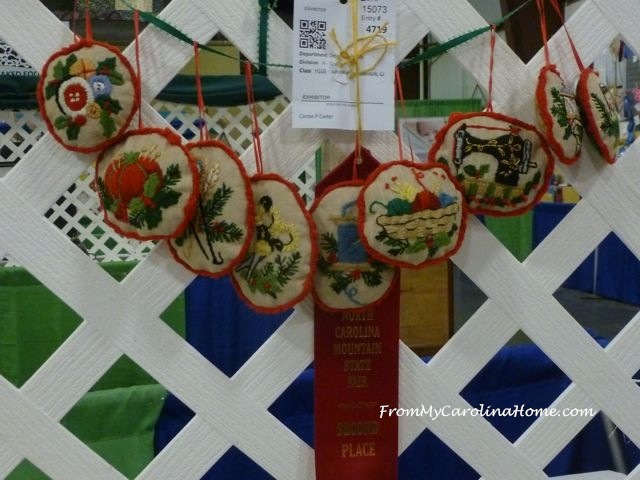 I worked so long on this set of crewel ornaments last fall, and was thrilled to find them hanging in the crafting competition area with a red second place ribbon. This was baby animals day, and we were lucky to get to the Mooternity Ward mere moments after the birth of this adorable little guy. Mom was busily licking him clean, and he was struggling to stand just a few minutes later. We were told that the little ones usually manage to stand between 30 minutes and 2 hours after birth. 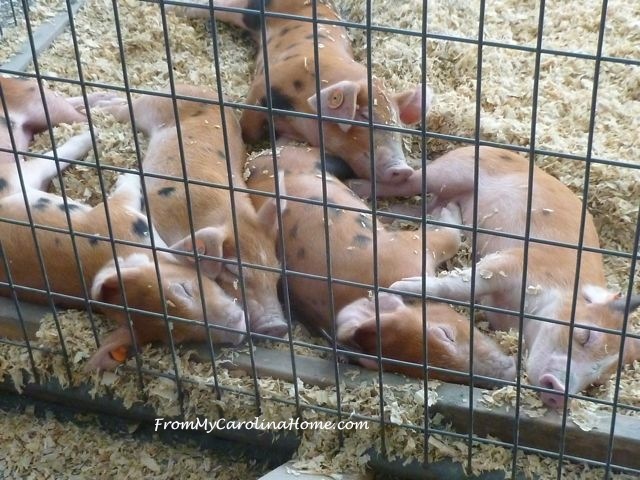 These cute little piglets looked like they had been having fun running around and now exhausted, all piled up asleep together. They are just a couple of weeks old. 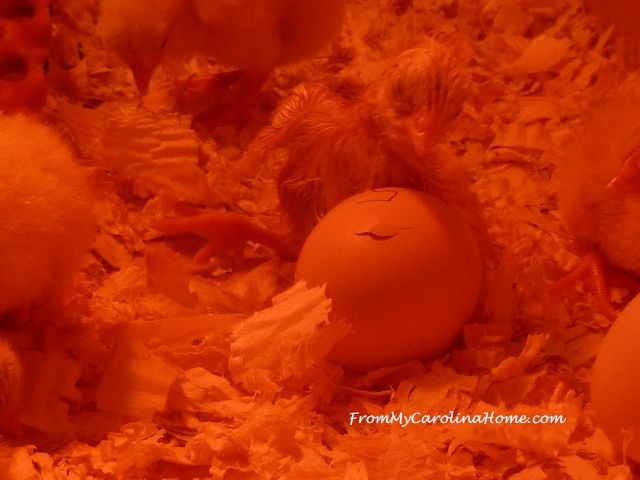 The chicks were hatching in the warming incubator, and you could watch them pecking out of their shells. The color in this picture is red from the lights so I hope you can see this little guy newly emerged from his shell and still wet, blinking hard at the light. 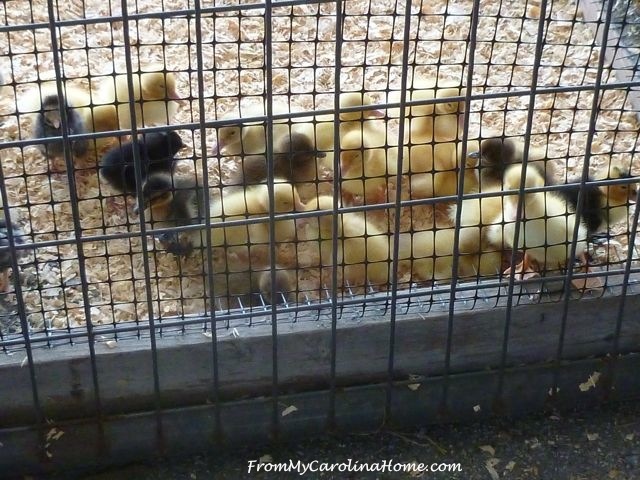 Then when they were up and dry, they were moved over to the larger pen. It looked like rain for part of the day, but it was much cooler than it has been so we didn’t mind. These pictures were taken while riding the sky trans, about the only ride I will do there. This is the best way to take the trip, with the mountains in the distance. It is such a colorful view! Do you mind if I toot my own horn just a bit more? The Quilted Art Project took a second place in mixed media. I was really happy as this project took months to complete, just working on it here and there as I found time to sit still over the summer. 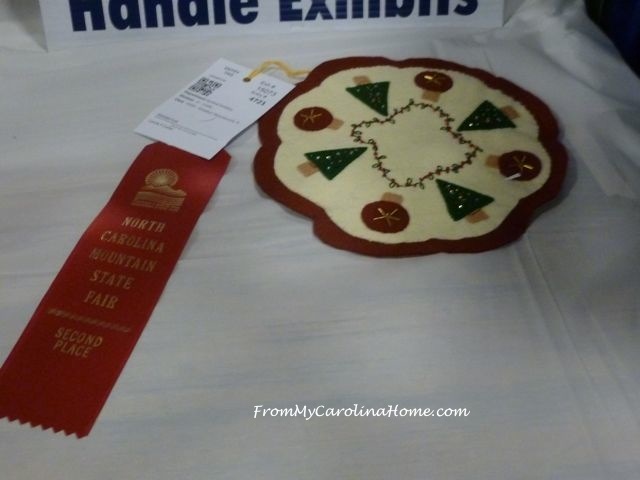 The Christmas Wool Penny rug from the Christmas in July event won a second place ribbon. Pattern is free HERE. 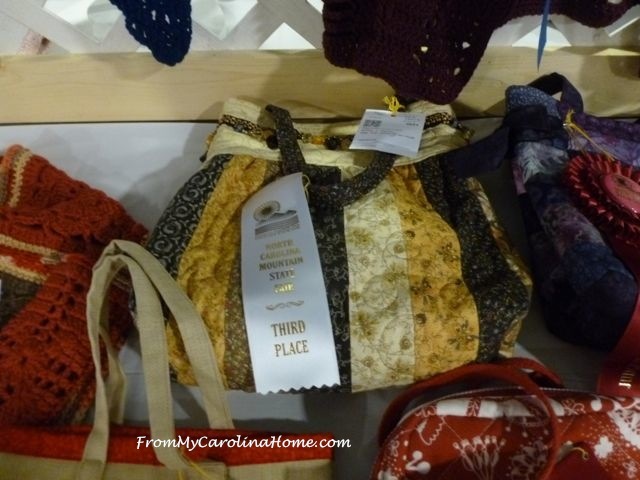 My original pattern the Charleston Bag won a third place. 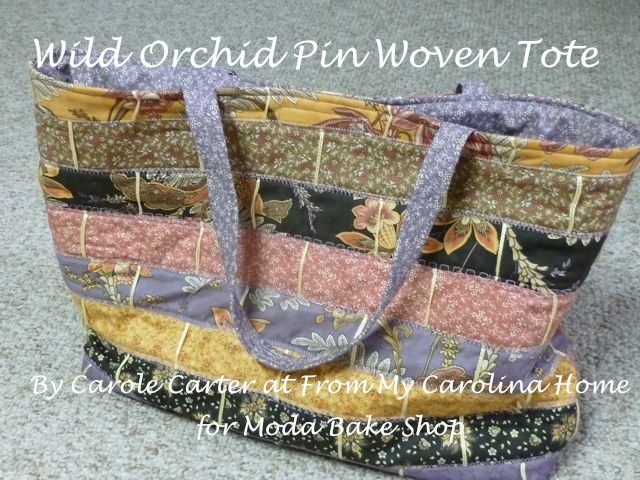 That pattern is available in my Craftsy store, Charleston Bag Pattern. 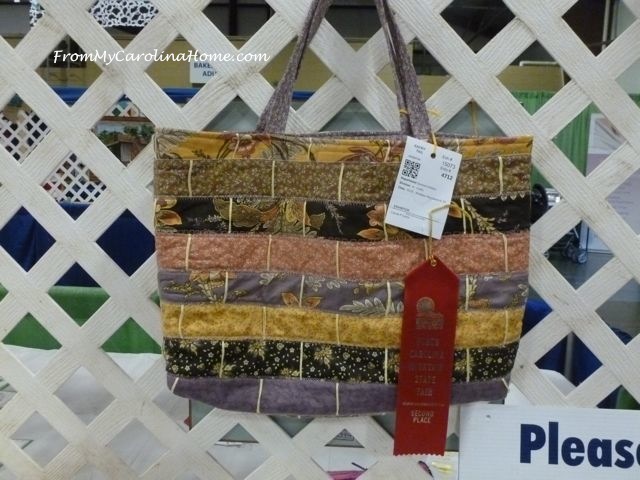 My pin woven purse got a second place. 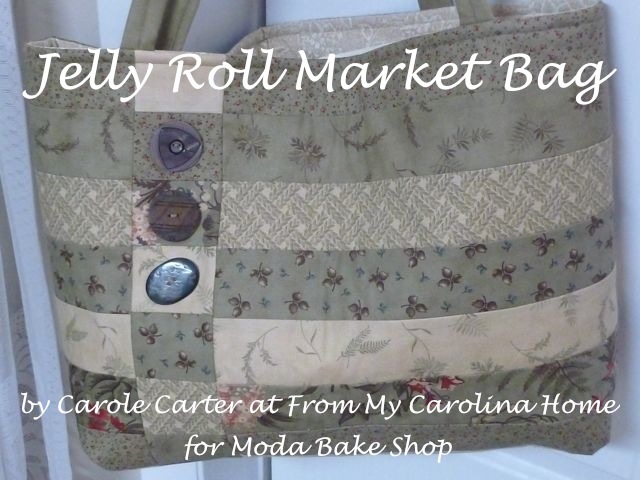 The pattern is free on the Moda Bake Shop site, Pin Woven Jelly Roll Tote. Whew, it was a lot of walking and looking. We did enjoy a couple of shows, one was an acrobat troupe that was fantastic, and the second trip we saw a magic show. Yes, I did get a Chicken and Waffle again one day, and the other day had a corn dog. Fair food is just part of the experience, isn’t it? If you missed the first post on the fair, see it HERE, with the livestock exhibit and more of my ribbons (toot, toot!). Do you go to your state fair? 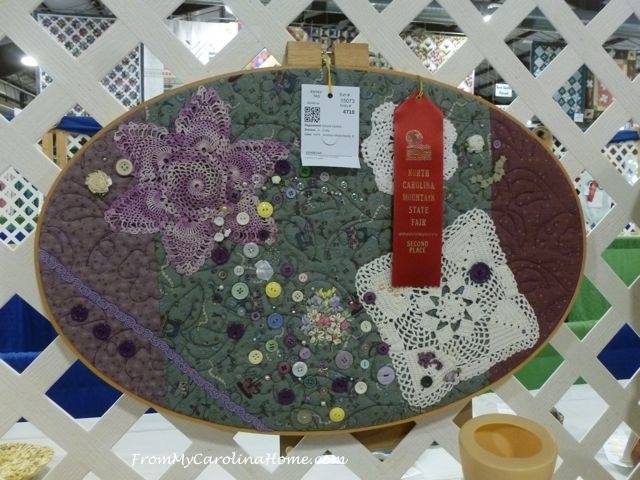 NC Mountain State Fair 2016 – Quilt Ribbons! Nice pictures. Looks like fun. Hello Carole, state fairs are so much to visit. I haven’t been in years. I am enjoying the tour you have graciously shared. Loved seeing the sweet baby animals. I never tire at looking at them. 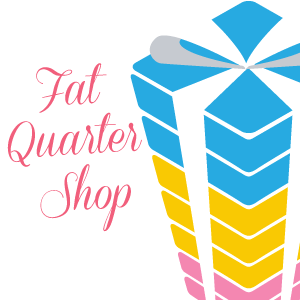 I wanted to make sure you would be very welcome to share at Dishing It & Digging it link party. The party is live now. Good Morning Carole! Congratulations on every one of your awards!! I know that you deserved each one of them. The view from your ride was a brilliant show of all the fantastic colors. I do not go on rides, especially high ones. 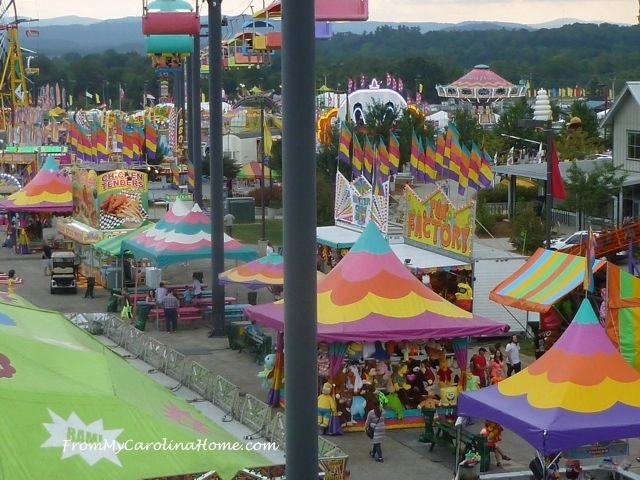 After my Daughter began going to the fair on her own, I would go with Mom and Dad and we would look around at all of the parts with like arts and crafts, quilts and so forth and really have a nice time. But once Dad could no longer walk the distance and the noise got to me, we stopped going. I keep thinking about entering some projects, then forget about it until it is to late and have already given away everything. LOL. Thank you for sharing and have a fantastic creative day! You really cleaned up on ribbons, congratulations! I loved the view of the fair. I always take the Ferris wheel. Can’t resist, big or small doesn’t matter. Love a Ferris wheel. Thanks for sharing. We haven’t been to a fair in a long time. Maybe next year we can put it on the calendar with purpose. Thanks for showing us what we missed. 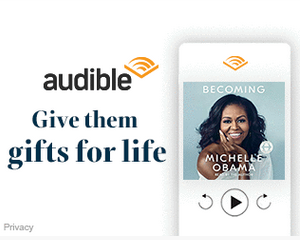 My goodness …. Congratulations are in order for all your hard work and prize ribbons. Have been to county fairs but never entered anything. Just volunteer at the hospice booth and view the craft and flower displays. Enjoy the tractor pulls and school bus races. 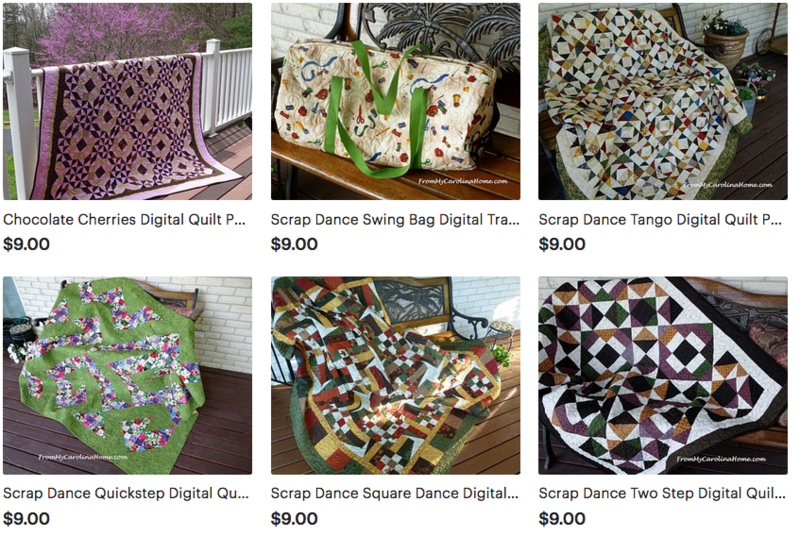 Wow….you certainly won a swag of prizes; good on you, all are lovely. I love the colour of your fair. Those baby animals are so sweet. There is always a lot to look at country fairs. There is always a good day to be had for all. You did really well at your State Fair. Loved the photos of the animals. Congrats on the ribbons! I always love seeing the animals at these fairs! Thanks for sharing! 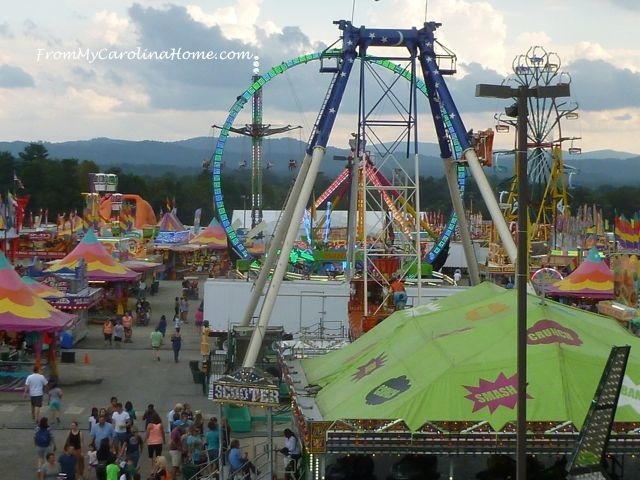 State Fairs are always so much fun, but even better when you are entered to win! 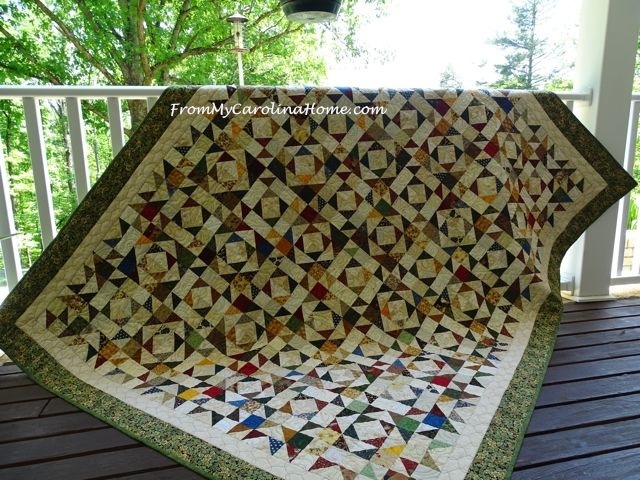 Congratulations on your ribbons – beautiful handiwork!! We just purchased a home in Sparta NC which I will be spending 6 months or so a year. 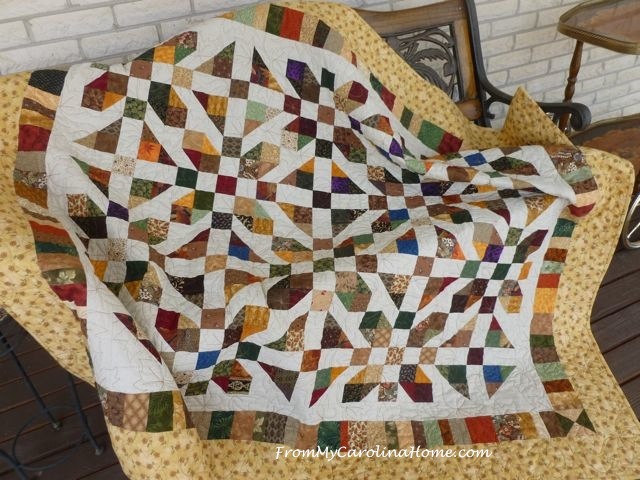 I would love to go to quilting fares and classes can you recommend where I can go from mid March to September?